Be ready for anything, yield to nothing. The SQ5 is the perfect balance of function and athleticism. The handsome, rugged lines of the Q5 are further enhanced in the tradition of Audi S models, resulting in an SUV that means business. Our customers can find the 2018 Audi SQ5 3.0T at our Pfaff Audi Vaughan dealership, or at our pre-owned car facility at 115 Auto Park Circle in Woodbridge. Read on for more information about this premium quality Audi SUV. 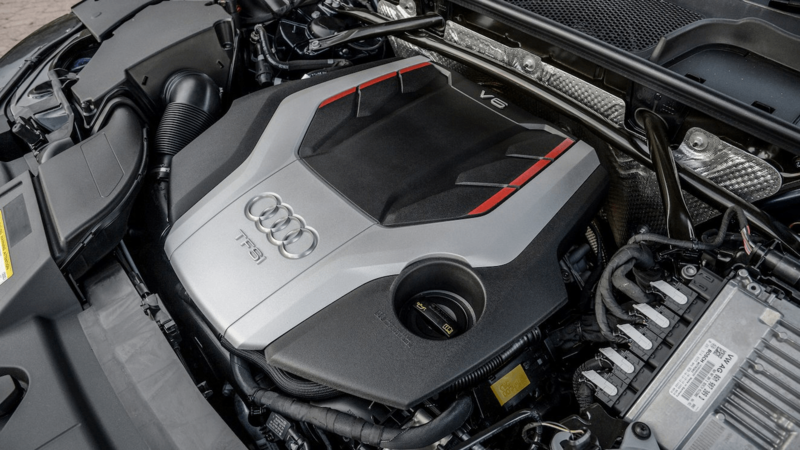 At the heart of the SQ5 is a completely redesigned, turbocharged 354 HP V6 engine. It produces high power, ample torque, and exceptional responsiveness, all while cutting fuel consumption. The end result: a more efficient engine that can achieve 0 to 100 km/h in 5.3 seconds. With a ratio to suit every situation, the snappy 8-speed Tiptronic delivers the ultimate in driving dynamics. With manual control and steering wheel paddle shifts, the gearbox is always ready to thrill and engage the driver. Powerful. Dynamic. Focused. The Audi SQ5 is sure to make an entrance, wherever you go. Thanks to impressive ground clearance and permanent quattro all-wheel drive, you can go wherever. 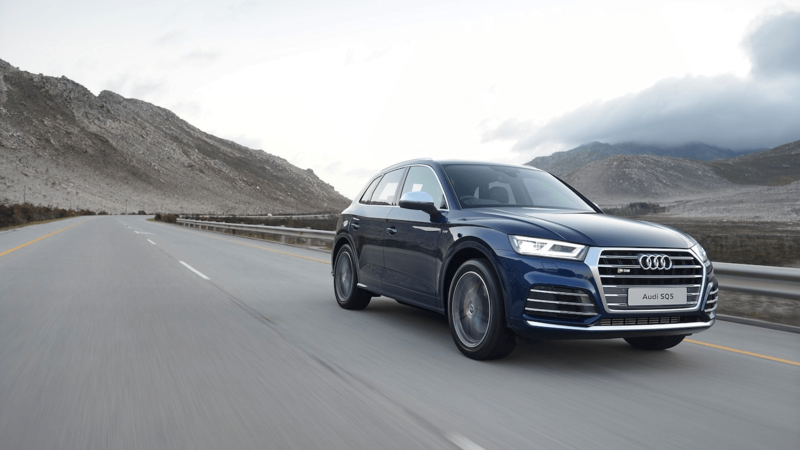 On the road or off it, the Audi SQ5 is designed to perform. With the handsome Q5 as a foundation, the SQ5 adds subtle aggression. Deeper bumpers, larger side sills, and a rear spoiler enhance the look. A collection of SQ5 badges give clues to the performance within. 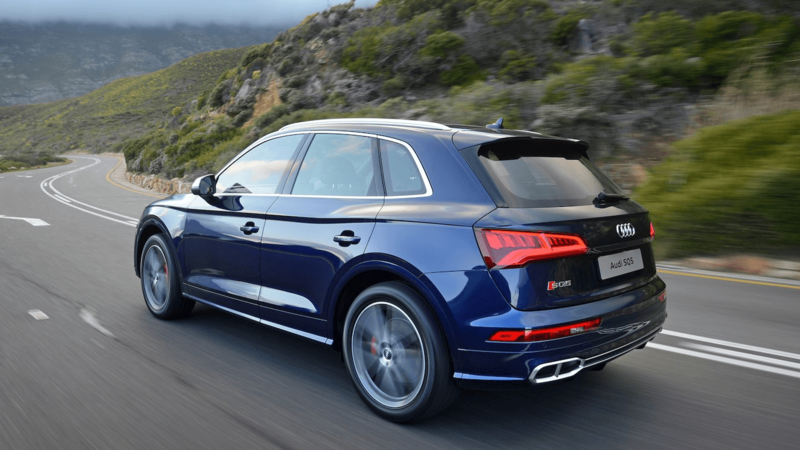 The SQ5 makes a powerful statement with available 21-inch wheels, elevating high above the competition. Leaving no doubt of its athletic capabilities, this optional feature attracts attention wherever you go. Performance meets luxury in the Audi SQ5. Open the door to reveal the illuminated S door sill, slip into the supple leather sport seat, allow your hands to wrap around the flat-bottom sport steering wheel and feel the brushed aluminum or optional carbon inlays. Made from the highest quality materials and with the finest workmanship, the Audi SQ5 is truly a special place to be. Extraordinary comfort and refinement make every drive a luxurious one. 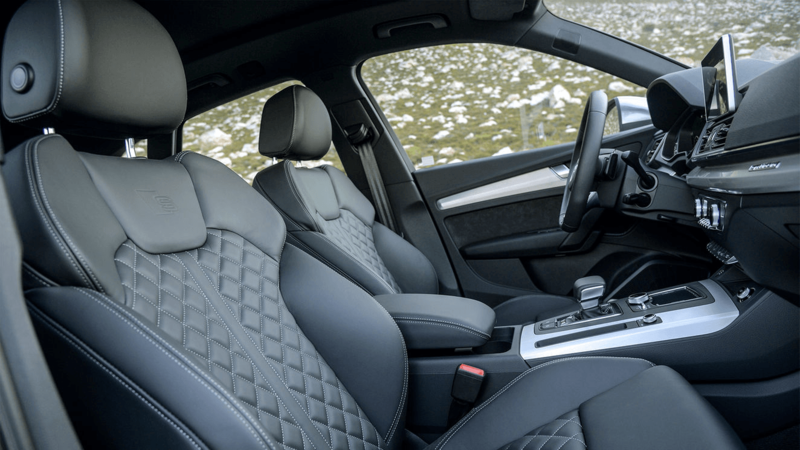 Front sport seats wrapped in fine Nappa leather feature beautiful diamond stitching. A smart-looking interior should feature intelligent technology. The sleek and subtle MMI Touch uses handwriting recognition so you can input your destination with more comfort and speed. Navigate traffic in your SQ5 with ease. The Audi traffic jam assistant uses ultrasonic sensors to combine acceleration, braking, and steering guidance at speeds under 60 km/h in congested traffic. The feature identifies lanes, vehicles, and structures to calculate a safe vehicle path, and even maintains the distance to the vehicle ahead. No need to look away from the road. With the optional head-up display, a full-colour projection displays important information and indications onto the windshield for quick driver reference. Speed, navigation, and more are projected in clear view, so you can keep your eyes on the road. If you are looking for an Audi vehicle like this one, we suggest that you visit our Pfaff Audi Vaughan dealership, or our pre-owned car facility at 115 Auto Park Circle in Woodbridge. Click here to find our contact information, schedule a test drive, and to fill out our contact form.